Yesterday we focused on the arguments put forward by our two proposers of the motion “This House Believes that Procurement with Purpose can save the world” at our recent pub debate. Today let’s look at how our two opposers positioned themselves, remembering that they had only eight minutes each to do so. 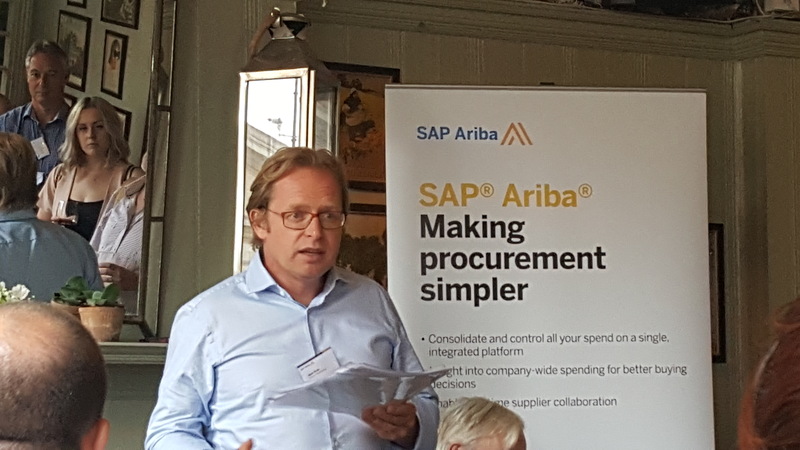 Our own Managing Editor, Peter Smith (ex-CPO, CIPS Past President, consultant and writer of all things procurement) followed the opening speaker. He started by asking the question – what is it exactly that we are saving the world from? By many measures – poverty, literacy, health – the world is much better off than it was 100, 50 or 20 years ago. We tend to look on the black side, but actually we should celebrate the success of humankind. The Thames was declared “biologically dead” 50 years ago – today it has fish, seals and dolphins! Supporting Peter in opposing the motion was Mark Webb, co-founder and CEO of Future Purchasing, leading specialist procurement consulting firm. He has a vast knowledge of category management and understands how procurement works in major organisations. His experience of working with category managers tells him that they are (unfortunately) often really not influential enough over their category spending to make that kind of difference. Even equipped with all the great characteristics that make up the procurement professional, like judgement, commercial acumen, leadership, curiosity, collaboration skills and so on, they lack what is really needed, and that is autonomy. The ability to make the decisions that are so fundamental to changing the world lie with government, not procurement. And to the shock of the other speakers, including his own speaking partner, he actually produced evidence in terms of the latest Future Purchasing survey and analysis. The research lists the five biggest socio-economic risks that organisations believe they will have to tackle now and in the future – these include things like weapons of mass destruction, climate change, water crises, but, he announced, no-where on his list of “value levers” to address them does it mention ‘procurement saving the world.’ That, he suggests, requires the work of the scientists and governments, not procurement! Procurement alone cannot save the world. So, to sum up, the proposers of the motion argued that procurement makes the purchasing decisions, therefore has the power to effect change, while the opposers say that procurement can help to save the world - but really and realistically we do not have the autonomy to save the world ourselves. And anyway, what are we saving the world from? After some heated and thought-provoking debate from the audience (more on that to come), we moved to the all-important vote. And on that point, the motion was carried – by a single vote! Never in the eight-year history of the Spend Matters pub debate has the electorate been so equally divided. It was a very enjoyable – and stimulating - evening, but what (if anything) does that verdict tell us about procurement people today? Anything worth noting?